Welcome to our Winter 2017-2018 Newsletter! The Holidays are already at our doors and the new year invites us to retrospect and plan. It is why we take the opportunity of this newsletter to talk about the last year and what's coming in 2018. Furthermore, the Holidays gives us once again the opportunity to thank you sincerely. Thank you for your fidelity. Thank you for your trust. And thank you for helping Octopus evolve by sharing your ideas with us. Did you attend our free webinars? 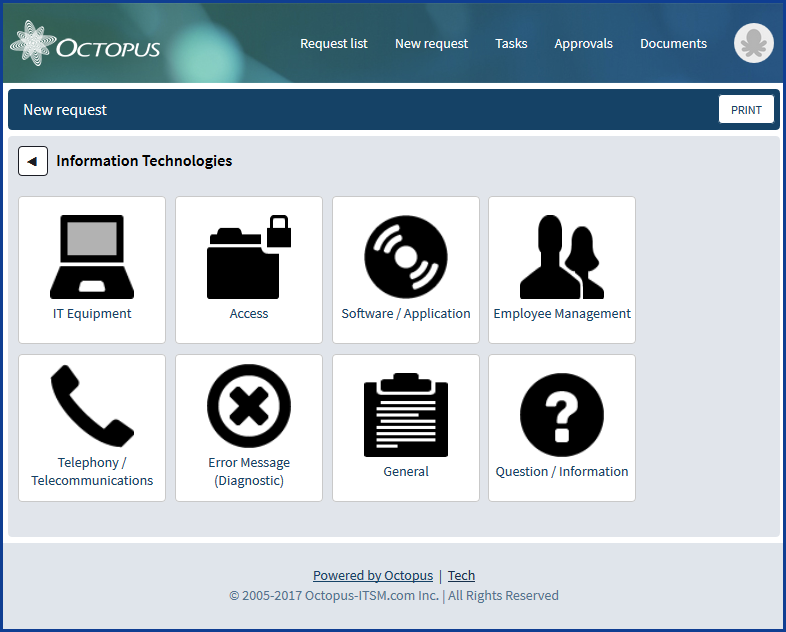 You may know that each month, we prepare a webinar on new features or useful solutions to configure in Octopus. These presentations, of about 45 minutes allow you to quickly see the content of elements that could allow you to optimize the usage of Octopus in your environment. For December, we even had the idea of offering you as a gift a webinar filled with tricks and tips to be even more efficient in Octopus. You missed these webinars? You just learned that they existed? We thought of everything. Find all the recordings since the beginning by subjects that interest you from the Webinars article. Starting in January, be there for the continuity of the webinars and don't hesitate to submit ideas or suggestions. Right now, they are only available in French, but if you are interested in having webinars in English, please submit a request from our Web Portal, under the "I have a request for / Webinar suggestions". 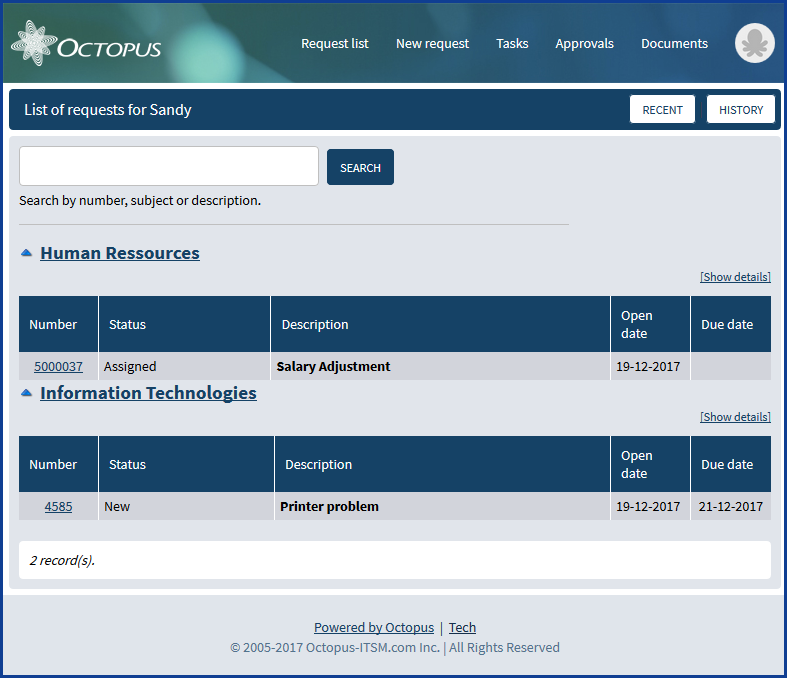 As it was announced earlier this year, we are working hard to offer you a completely redesigned version of Octopus, but most important, an all Web interface to meet your expectations. The change freeze on the current version that was announced last spring, helped us a lot, but there is still a lot of work to be done. This is why we have decided to publish a « preview » version. This version will allow you to use the incident/SR and the basics in the CI Module, to discover and experiment the interface and, of course, give us your feedback on the experience. 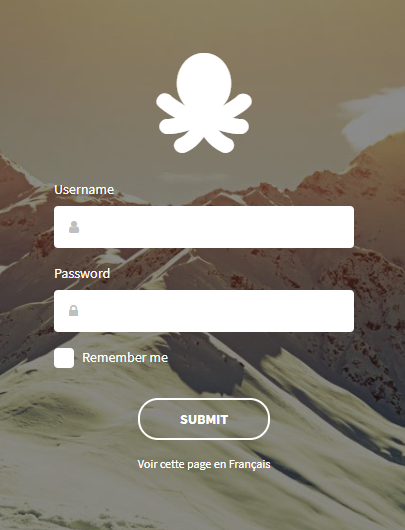 The unveiling of this version is planned for the Journée des utilisateurs 2018 (Octopus User Day), after this, you will be able to contact us to activate it. Our top pick of the latest updates is the option to automatically resolve service requests individually. An option name Automatic service request (SR) resolution has been present for a long time to globally solve SRs as soon as the last task is completed or cancelled. Now you can configure this option for a specific type of SR from the Advanced tab (Reference data management > Service request > Types, select the type of SR in the advanced tab > Automatic resolution). 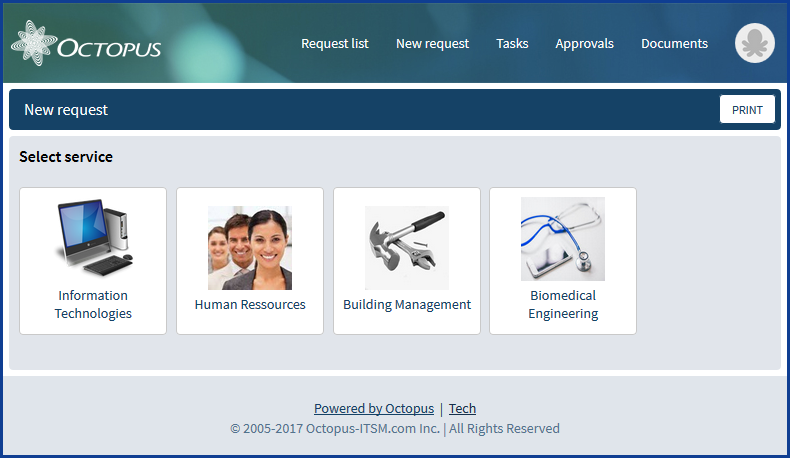 The Web Portal has been updated to offer a brand new experience for your users in request creation and to modernize its interface. 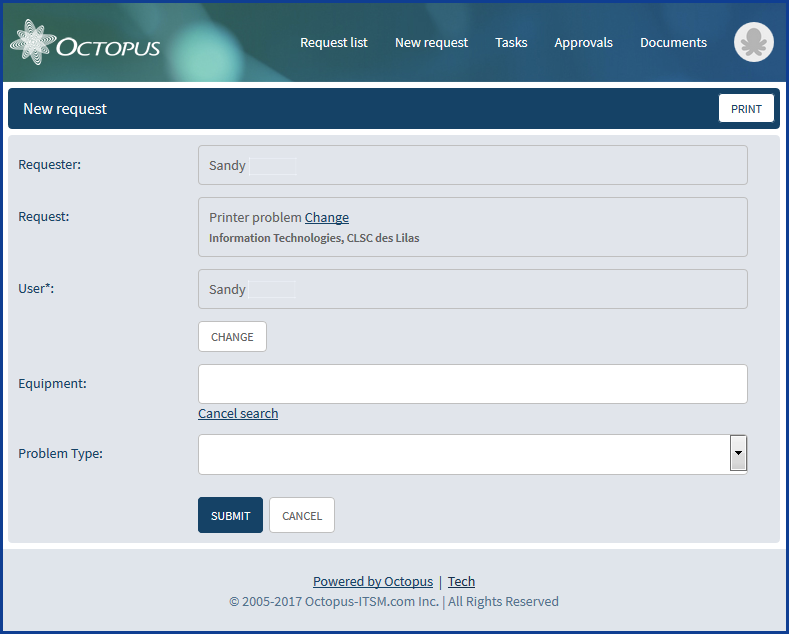 Activating this new feature cannot be done by default, as it affects all teams that are using Octopus in your organization. This is why we recommend that you prepare before asking the activation from our Service Desk. Exclusively, here is the new look of the Web Portal in 2018. If you have multiple teams visible on your Web Portal, you can represent them by images or icons. In any case, you will be able to represent your categories by images or icons. And add a description of your service. Visual of the list of current request for a user. Visual of a form on the Web. Another nice new feature planned for January is the possibility to use fields from the Web forms in the searches and lists. We believe that this functionality will be really appreciated and used to simplify your searches and reporting in Excel.